For years, many network engineers and designers have ignored IPv6 as something that they’d get to, “someday”. However, as of 2017, all five Regional Internet Registries have officially run out of IPv4 address blocks. With IPv4 address depletion a reality it’s time that network engineers take IPv6 seriously and the first step in doing so, is understanding the IPv6 addressing structure and the variety of IPv6 addresses available. This webinar will teach you the fundamentals of how an IPv6 address is structured, how to abbreviate addresses, and how to recognize the different IPv6 address types such a Global Unicast Addresses, Link-Local addresses and Multicast addresses. Keith Bogart started his career at Cisco Systems in 1996 as a customer service representative and quickly rose to a Cisco Technical Assistance Center (TAC) engineer on the “Dial-Access” team. After almost 17 years at Cisco, Keith began his career as an instructor with INE. 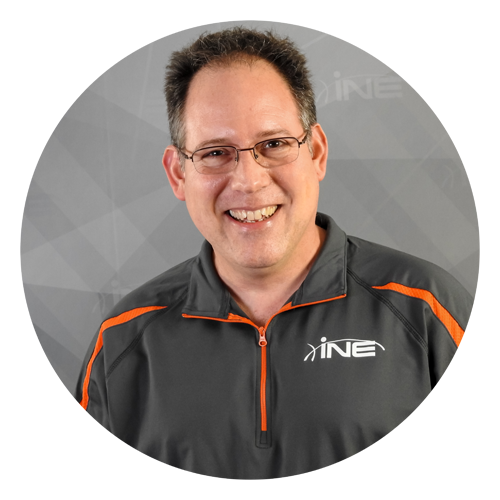 For the past four years Keith has been creating and teaching many of our online Cisco courses and instructing our live CCNA and CCNP Bootcamps. Keith holds several certifications – CCNA Routing & Switching, CCNA Security and CCIE Dial-ISP. If you would like to contact Keith, he can be reached at kbogart@ine.com.